ProForm is a company dedicated to providing high quality exercise equipment for individuals at an affordable cost. Though they provide many different forms of equipment, their treadmills are the focus point of the company due to their exceptional quality for both exceptional athletes and those individuals just starting out. ProForm has been one of the leading exercise equipment manufactures for the last thirty years and holds titles such as being the #1 brand for the last 20 years. ProForm’s treadmills are exceptional for a variety of reasons including those listed below. Speed Control: Many of Proform’s treadmills offer quick speed control to allow users to change speeds with the touch of a button. For many athletes doing speed work, this feature is essential to a safe and quick transition of running paces. 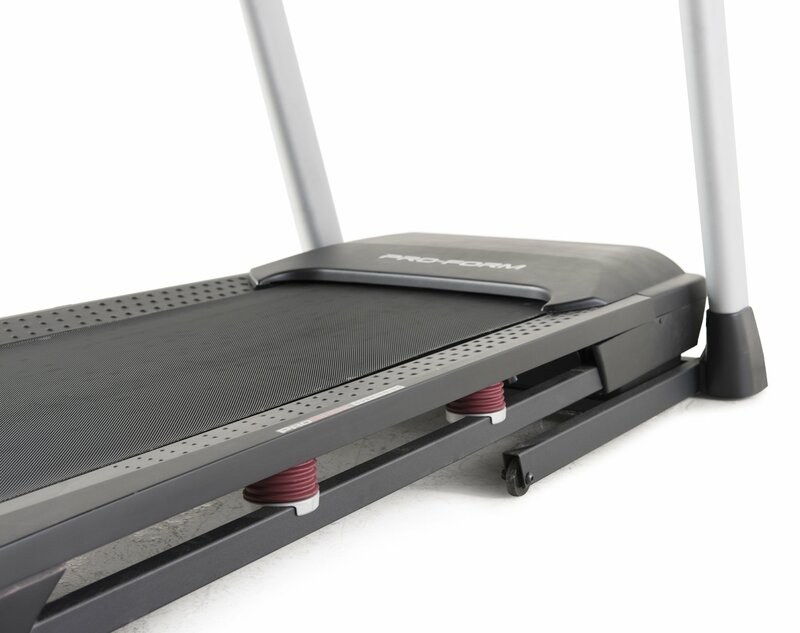 Tread Belt: While many treadmills offer belts that are sized for the average individual, ProForm extends the belt length on its treadmills to 55″ long to fit all heights and stride lengths. Incline Control: In addition to quick speed control, Proform treadmills also offer quick incline control. This feature takes the thought out of changing the incline of the treadmill and adds an element of comfort an ease to an already challenging workout. Though there are many advantages to the ProForm treadmill brand, there are a few disadvantages that are worth noting. Maximum Weight Capacity: Due to the foldable nature of this machine, it does have a lighter weight limit than its competitors. For many individuals starting out, the 300 pound weight limit for this machine might not be sufficient and a heavier duty treadmill might need purchased. Overall Item Weight: Though Proform treadmills are foldable for easy storage, the item weighs approximately 165 pounds. This might make it difficult to put into a basement or upstairs bedroom without assistance.